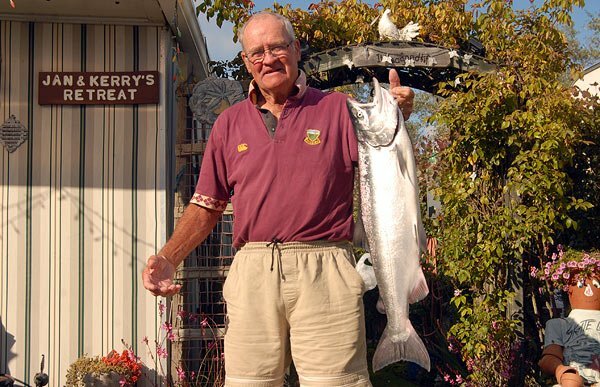 The hut owners at South Rakaia hold a fishing competition which runs throughout the salmon fishing season from November through to April. Here are the fish weights. They make interesting reading. Note the heaviest fish caught weighed 7.97kg (17.5 pounds). 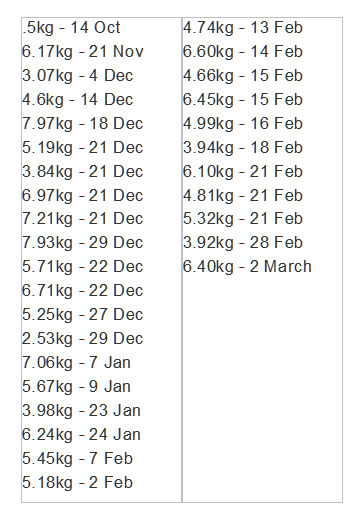 The average weight (excluding the very small fish at the top of the list) was just 5.54kg (12.2 pounds). From memory the last time the salmon got down to these sort of weights was the 2000 season. The most likely reason for these low fish weights is poor feeding conditions at sea. 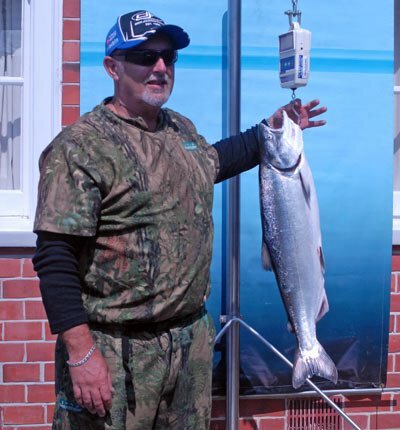 This salmon caught at the mouth of the Waimakariri River, and entered in the Kairaki Beach Motor Camp Comp, weighed about 5kg. It is typical of the salmon taken this season. They have been difficult to catch too.